There is nothing like Saratoga Springs in the summer; the old fashioned charm of the town, flower’s blooming throughout the streets, and of course the hustle & bustle of the famous Saratoga Track. However, visiting this classic town any time of year will leave even the most well-traveled explorer in awe. 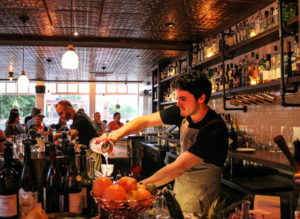 From craft cocktail bars to spas, check out our weekend guide to Saratoga Springs by travel blogger SarahFunky.